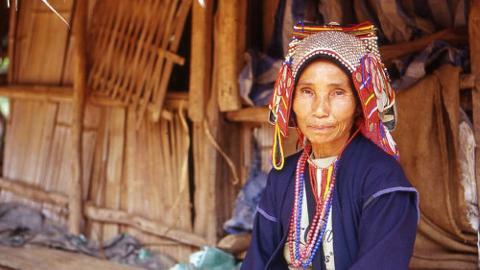 Explore the many hill tribes native to the northern-most district of Thailand. 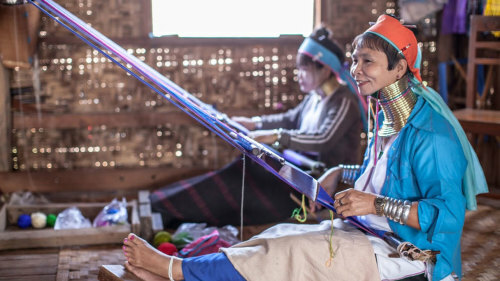 Chiang Rai hosts 7 broad hill tribes with varying ethnicities and customs. Spend your day absorbing the rich heritage of the hill tribes, as they openly share their culture with you through dance and handmade crafts. Expose yourself to unique and diverse cultures as you journey through the lush green mountain scenery to the Yao and Akha hill tribe village, whose people are famed for their good humor and lovely handicraft. Move on to the Padong hill tribe village, where their women are known for wearing brass ringlets around their necks to elongate them. 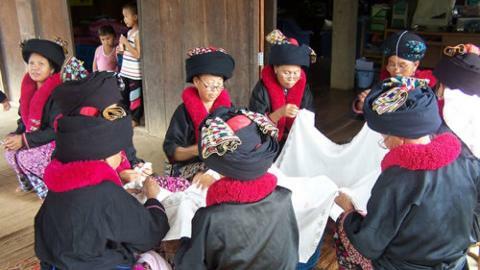 Glimpse their beautiful costumes and adornments before making your way to the Hmong Village. Experience the rustic lifestyles of these indigenous people, still holding spiritual connections with nature—especially the Hmong tribes, who employ shamanistic rituals in their daily lives. See traditional dancing of the hill tribes, a beautiful pageantry of music and color. You have an opportunity to capture the moment on camera before heading back to your hotel.